Truth and love. How do those ideas manifest themselves on a daily basis? Do they frame our days, or are they simply reminders that hang out there somewhere, waiting to be knocked about when things get rough? Truth and love. Do they cram themselves into our every movement, our every thought, our every action? Do we wear them on our sleeve, or bury them deep in our chest? Truth and love. What about when deceit and hate smack us in the face and knock us down without offering a hand up? What then? Does the tyrant smirk and turn their back, not worried about us finding the strength to attack back? Truth and love. Do the emails, the rejection letters, the pink slips, show us? They think they’re doing the right thing, following the protocol, but they are neglecting to see the human inside, the person that feels the sting and disappointment. They forget about my fire. Truth and love. When I despair, truth and love have shown me what to do. To think of our children and what is best for them. To do the right thing, even when nobody is looking. Assume positive intention. To look into another’s eyes and see how we are all more similar than we are different. When I despair, I remember they may seem invincible. They may seem to have won. 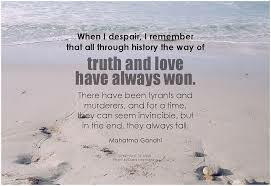 But when I despair, I think of the power of truth and love and know they are wrong. I am the one who is invincible. Justin Cox: A First Time Dad We’re Having A Baby! It is all about truth and love in the end isn’t it? Just hard to remember sometimes, especially in times of despair. Thank you, Susan. Yes, it can be hard to remember, but so important. Wow-that’s cool! They will have a wonderful base for their lives. WOW!! You have left me speechless… which I never thought possible. What a thought provoking post… Reminds us all of the important things in life… truth and love!! Blessings to you and yours. Oh, I”m so glad you enjoyed the post, Carla. The quote certainly made me think, too. I LOVED this post. Perfect for me today. I am lost in that ‘wait and and wait zone’ and feeling unsettled. I know it’s part of the process (sending out query letters to agents etc) but it’s hard, the waiting. I was walking down Market Street (here in San Fran) today thinking how much this feels like being judged. I screamed (in my head) not to be negative. I reminded myself there is more in me and in life. Be still little one I said to myself. My heart back in my chest I smiled to the world and pushed myself to carry on. Thanks Jennifer, for reinforcing. Thank you, Brenda. Waiting to be judged…not so much fun. Keep pushing yourself-you’re worth it! Well said. Find power and courage where you can. So true, Kenny! Thank you! Dear Jennifer, I found this post truly inspiring. I had just read Dr. Kathleen McCoy’s posting about living in the moment. Being aware. And then I came to yours. I think the Universe is speaking to me today through both of you. Peace. Dee, I am so happy that everything came together for you…thank you! Oh, I’m so happy to hear that, Elisabeth! You’re welcome! This was beautiful. I have always lived my life by truth and love. And when circumstances or people don’t fit into that, my life gets very out of wack. You can tell when truth and love are not in balance. 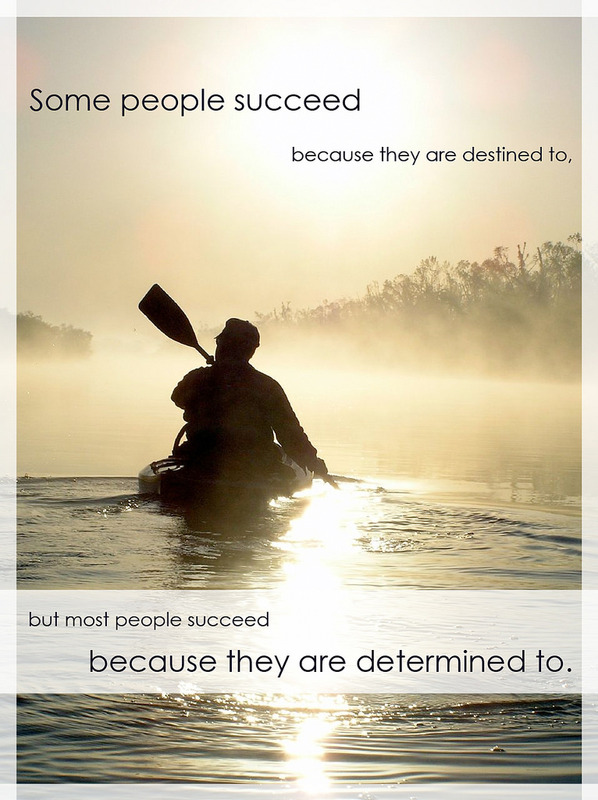 Striving for both will make things right! Michael Ann, your words are so true. Out of whack is exactly right! ***But when I despair, I think of the power of truth and love and know they are wrong. I am humbled by your compliment. Thank you. That’s beautiful. And it offers hope! Thank you. You’re welcome. Hope is often what keeps me going. I enjoyed this post…and I think about this stuff a lot! I think the opposite of love is not hate, but fear. and i know that despair is never from God. Good point, mom. Fear can absolutely stifle us and keep us from love, for sure. Thanks for following! Good writing. Elicited quite a varied response! Fear freezes us in place. I think of the deer that crossed our country roads at night. Have caught their eyes in the headlights. Frozen in fear. Thanks, Susan. You’re right-we can’t let fear keep us from moving forward. So true. This post reminded me of the passages in an Anne Lemott book when she writes about all prayers boiling down to ‘please and and thank you.’ The big things are often so stunningly simple and often hard to grasp. Lovely post. Heather, just having my writing and Anne Lamott’s in the same breath is a huge compliment. Thank you.